Collective teacher efficacy (CTE) beliefs serve to encourage certain behaviours and constrain others. Bandura (Educ Psychol 28(2):117–148, 1993) was the first to generate interest in this area by demonstrating that the effect of perceived CTE on student achievement was stronger than the link between socio-economic status and student achievement. The purpose of this study was to gain a better understanding of the productive patterns of behaviour and other consequences resulting from educators’ shared sense of efficacy. Studies showed that CTE was associated with a number of productive behaviours including implementation of school improvement strategies, increased teacher leadership, communication of high expectations, and a strong focus on academic pursuits. In addition, CTE was associated with other positive factors including greater job satisfaction, commitment to students and the teaching profession, and positive attitudes toward teaching students with special education needs and professional development. Collective efficacy was negatively related to performance goal orientations and positively related to students’ emotional engagement. Finally, there were a number of studies that established the relationship between CTE and individual teacher efficacy. It is important to acknowledge that the relationship between CTE and other variables included in the studies contained within this review are most likely bidirectional. 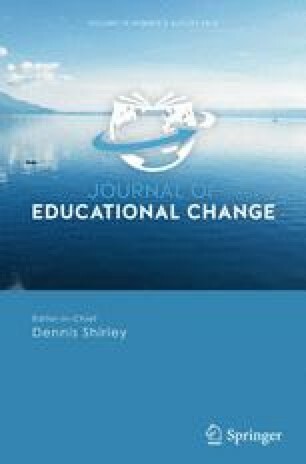 Policy makers, system and school leaders, and staff developers’ efforts toward successful education reforms might be better served by strategically and intentionally considering how to foster collective efficacy throughout the conceptualization, design, delivery, and assessment of change initiatives. Suggestions for future research and limitations including potential measurement problems of included studies are shared. Jenni Donohoo on contract with the Council of Ontario Directors of Education.